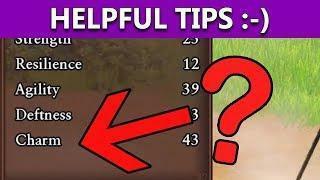 Dragon Quest XI | Walkthrough PS4 | Three Simple But Useful Tips! Hey guys, here are some quick tidbits of info to make your journey through DQ11 a little smoother. Some may seem obvious but the game doesn’t really point these things out to you so hopefully they will be useful! DRAGON QUEST 11: Echoes of an Elusive Age tells a captivating tale of a hunted hero and is the long-awaited role-playing game from series creator Yuji Horii, character designer Akira Toriyama and composer Koichi Sugiyama. While it is the eleventh mainline entry in the critically acclaimed series, DRAGON QUEST XI is a completely standalone experience that features entirely new characters, a beautifully detailed world, finely tuned turn-based combat, and an immersive story that will appeal to long-time fans and franchise newcomers alike. A young man, about to participate in his village’s coming of age ceremony, travels to a Sacred Stone alongside his childhood friend. After a series of unexpected events, this intrepid adventurer learns he is the reincarnation of a legendary hero from a forgotten age. The young hero sets forth into an unknown world on a journey to unravel the mystery of his past… but the welcome he receives is far from warm. Upon revealing his identity to the King, the hero is branded as “The Dark spawn” and hunted by a relentless army. Fleeing from his pursuers, the hero assembles a band of endearing adventurers who believe he is actually The Luminary reborn. The hero and his newfound companions embark on a quest that will take them across continents and over vast oceans as they learn of an ominous threat facing the world.